This is Tunse'al Quick Starts and Side Tracks, Systemless. 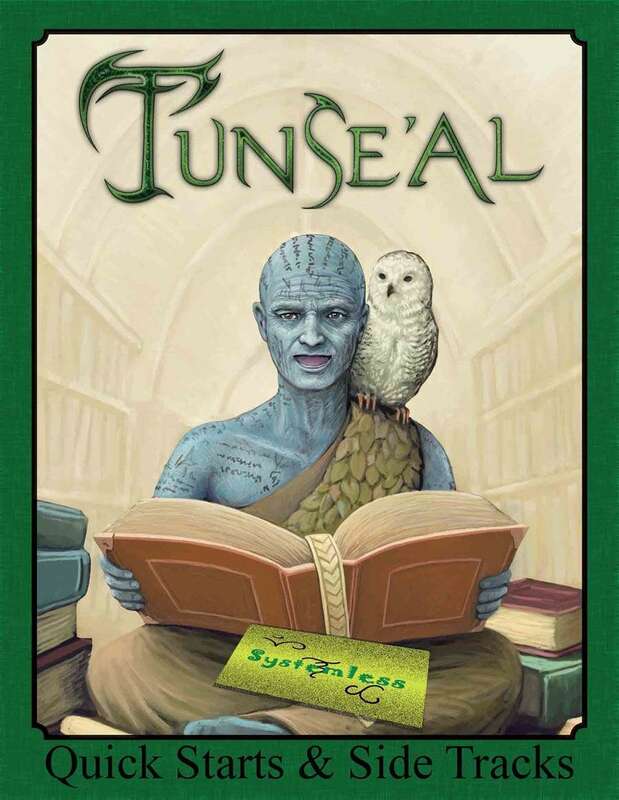 While it is not a "quick start rules" product, it can be used in a similar fashion if you just want an idea of what Tunse'al is without first buying the Tunse'al Setting Guide. All Tunse'al products are made in a second, systemless version, too. Tunse'al Quick Starts and Side Tracks is best used with the Tunse'al Setting Guide and whatever system's rules you prefer as it's intended as a GM aid.